The practice of law is not one-size-fits-all nor is starting a law firm. 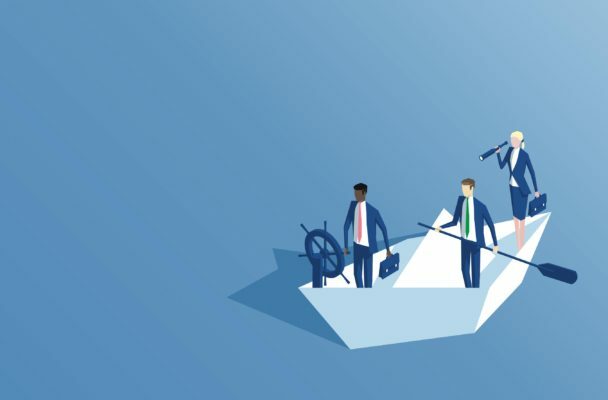 A new law practice’s success depends on a solid foundation of legal experience, as well as on the founder’s preparedness, personal drive and well-defined goals. Many solo practitioners are blissfully content with generating an annual income comparable to those in their practice areas. Others choose to manage multi-person or multi-city offices. Still others aim to work part-time and contract with other firms for overflow work with the goal of focusing on other aspects of life. As there is no one “right” way to structure a practice, there is no one set of guidelines for building a successful practice. This article explores some important considerations when one decides to venture into the world of self-employment in the legal profession. We encourage those who have gained some experience through legal employment and who are considering starting their own firm to take the leap. What do you want from your new job? How much do you need to earn for it to be “worth it” for you? How quickly do you need to see returns? Who is your “ideal” client? Why are you practicing law in the first place (instead of, for instance, opening an ice cream parlor)? Do you want or like to work around other lawyers? Will you have an office space or virtual office? Write down your ideal work day in present tense, from the time you wake up until the time you go to bed. Keep in mind the following questions: Are you in an office most of the day? In court? Drafting? Seeing clients? What time do you leave and get home? Are your days varied? Do you want to carve out time to binge watch episodes of “Breaking Bad” or squeeze in a daily siesta? Determine your marketing strategies based on who you are. We recommend having an elevator speech prepared so that you never miss an opportunity to share who you are and what you do. While you should always keep your business cards handy, it is important to build relationships with other professionals. In other words, don’t just pass out business cards and call it a day. A good referral pipeline depends on regularly connecting with your contacts. Other marketing strategies include blogging, public speaking, scholarly writing, sending periodic newsletters and, of course, doing great work that showcases your expertise in the field. We aim to dispel any notions that owning a law practice means routinely “officing” on the beach. You will likely work harder in your own business than in a traditional role in another law firm. In fact, you will need to work hard or the business won’t work. First, build the practice. Then, work-life balance will come. Nearly every new law practice will experience fits and starts. Don’t be discouraged. For every misstep, there will also be incredible small victories. Most anyone will need help at some point, so line up your support system early. In addition to utilizing resources provided by the CBA, such as the Colorado Attorney Mentoring Program (CAMP) and the Solo Small Firm Section, it is important to cultivate mentors organically. As Sheryl Sandberg points out in Lean In, the “will you be my mentor?” approach simply doesn’t work outside of a recognized mentoring program. Instead, ask to meet someone for coffee or lunch (everyone has to eat). Ask someone to tell their own story, and don’t forget to follow up with a handwritten note and your business card. Don’t burn out your mentors. Hopefully you will have several mentors and won’t need to go to the same person too often. Respect others’ time. Do your homework before reaching out to ask a question. Failure to do initial research can make you and your mentor uncomfortable, or even annoyed, and can sour an otherwise positive mentoring relationship. Pay it forward. There is something you can share to help someone else. Many mentoring relationships involve give and take from both sides. Don’t be afraid to reevaluate your plan at years one, two and five. Be thoughtful about what works and what doesn’t. Ask yourself whether your typical work days live up to your ideal. Consider the adjustments you can make to stay satisfied in your practice. Finally, analyze your bottom line and cut fat if necessary. If you are not a business person, become one. There should always be room for personal and professional growth in your practice. Keep up with the law in your practice area. Maintain the highest standards of professionalism. Then, you’ll find you’re already on your way to providing your business with a firm foundation for success. Sometimes the going will get tough. Lawyers experience one of the highest burnout rates among professionals. The grind can be rough, especially with the responsibility of an entire firm on your shoulders. Have a plan in place to address and manage burnout. Make and then keep promises to yourself about self-care; your work will be better and you will be more efficient. We wholeheartedly agree with Angela Lee Duckworth’s work about “Grit.” Duckworth explains that, in a word, grit is stamina. Grit is the willingness to hang in there over the long term. She suggests that having grit is as much of an indicator of success as is any standardized test. When it comes to starting a law practice, we have both found that grit is an essential piece of the puzzle. Danaé Woody is the founder of Woody Law Firm, a boutique family law firm in Denver. She is on the CBA Young Lawyers Division Executive Council and is a member of the Modern Law Practice Initiative. She can be reached at danae@woodylawllc.com. 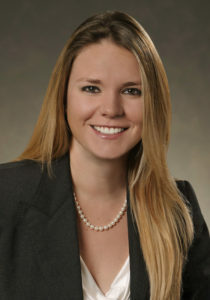 Sara Scott is the principal of Sara S. Scott LLC, where she practices family law. Previously, she was a founding partner of Zamani & Scott LLP in Washington, DC. 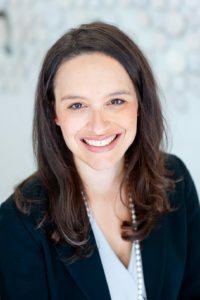 She recently relocated to Denver and started her current firm. She can be reached at sara@sarascottlaw.com. Excellent article Danae and Sara.